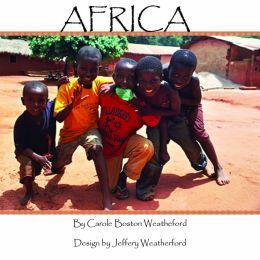 Carole Boston Weatherford starting writing poems in childhood and never looked back. Her first picture book, Juneteenth Jamboree, about a summer celebration in memory of the Texas Emancipation, was published in 1995 by Lee & Low Books She’s written numerous picture books, board books, poetry collections, chapter books, and more, including the award-winning The Sound That Jazz Makes, a poem that traces the history of African-American music. It’s our great pleasure to re-introduce Carole Boston Weatherford and her exciting latest ventures! A year ago, my son Jeff Weatherford and I partnered in establishing Great Brain Entertainment, a digital media company that produces books, video, and graphic T-shirts. 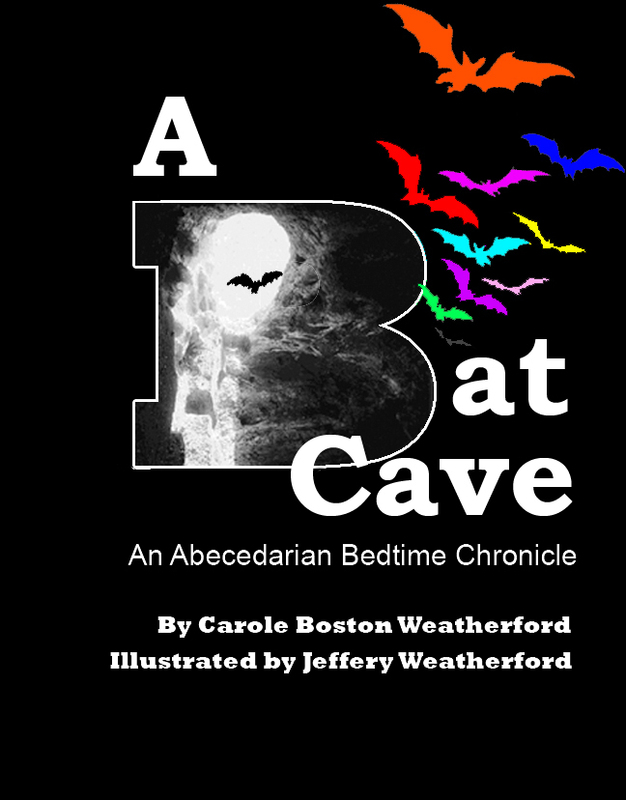 The company’s has released two books: Africa, an ebook for preschoolers; A Bat Cave: An Abecedarian Bedtime Chronicle (for Pre-K-1). Princeville: The 500-Year Flood, a new chapter book edition of an out of print picture book title, is coming soon. Here’s why Jeff and I became publishers. Printing and publishing have been the family business since the 1950s. My father was a printing teacher, I have been an author, editor, publicist and professor, and my son Jeff is a digital and fine artist. I may have ink in my blood, but Jeff has microchips in his. Ebooks and print-on-demand publishing are a natural evolution for both of us. For years, self-publishing was synonymous with vanity publishing. Then, services like Amazon CreateSpace provided a model that skipped the middleman and gave author-publishers higher royalties. Granted, few self-published books or ebooks become bestsellers. Fortunately, self-publisher don’t need blockbuster sales to make a profit. I had seen other upstarts succeed. I figured I could too—with my son’s help. I watched with awe as professor/blogger Sylvia Vardell and poet/ex-lawyer Janet Wong launched Pomelo Books. Using the print-on-demand model, the new press published the Poetry Tag ebook series and several Poetry Friday anthologies for K-12 classrooms. I am proud to have contributed to their projects. I want to meet my readers where they are. Today’s children are practically born with tablets in their hands. Reading Rainbow is even an app. Ebooks are the fastest growing segment of book sales, especially for children and young adults. I want a stake in that digital future. At a time when unemployment rates are high among young men, the publishing business is my son’s way of making a job for himself. Through his digital media company, Great Brain Entertainment, Jeff is putting his degree in computer graphics and animation to work. I couldn’t wait to show off my son’s mad design and illustration skills. We’re pitching collaborations to major publishers. While we await acquisition decisions, we are publishing on our own. Although I have 40-plus books and several projects in the pipeline at major houses, the wheels are turning slower in the publishing industry. The intervals between my new releases grew longer. I did not want to fall off the radar. Self-publishing gave me more control over the timing of my new releases. The reason I became an author in the first place was for my words to reach readers. I have built up a backlist of out-of-print and never-published titles, which editors say have promise but are too “niche.” For an ebook or on-demand publisher, the so-called niche doesn’t need to be as large as that of an established press facing higher overhead and lower profit margins. This has been an adventure. Not that we have worked out some of the kinks in production, marketing is the next frontier. I had hoped to trade on the name recognition that I have as an award-winning children’s book author. To promote the books, Jeff plans to use social media more aggressively. Carole Boston Weatherford, the author of more than 40 books, is a professor at Fayetteville State University in North Carolina. Yes, the wheels do turn more and more slowly in the major houses – this is a GREAT way not to fall off the radar, and now that self publishing no longer equals vanity publishing, it does change the game. Looking forward to seeing this succeed! Inspiring! Thank you for continuing to pave the way for aspiring writers and authors of multicultural children’s books.